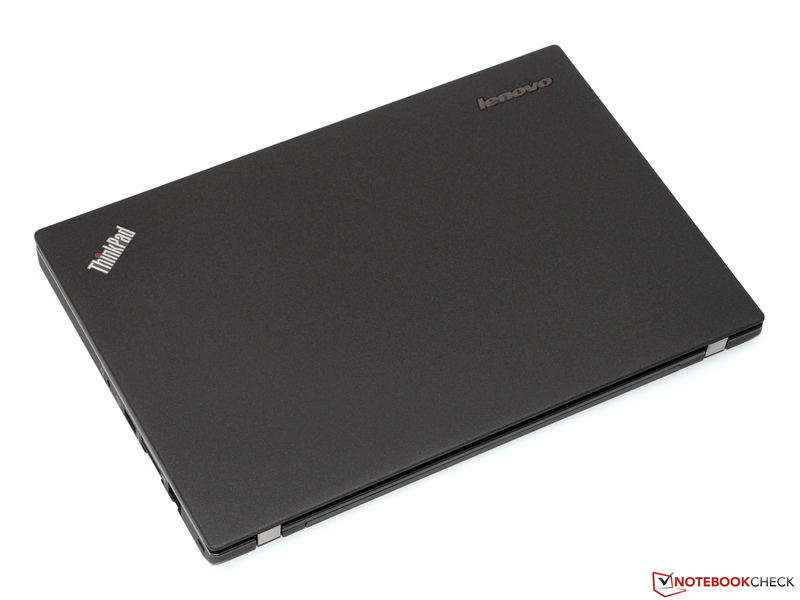 Lenovo's X200-series has been one of the most popular subnotebook-series among business customers for years now. 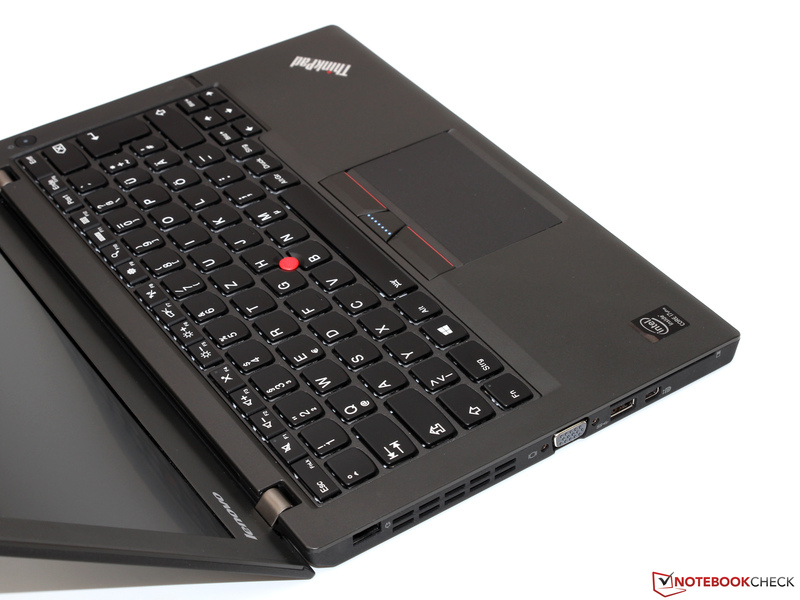 This is not surprising since the compact 12.5-inch device not only convinced with the excellent mobility in the past but also with other qualities that the ThinkPad-series is known for. 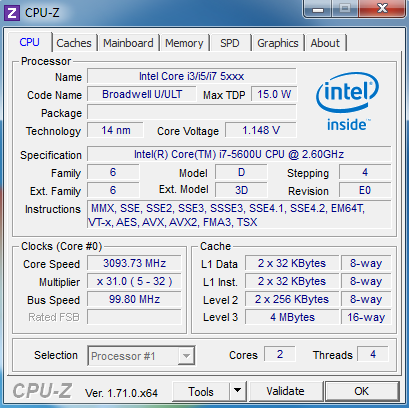 With the recent launch of the Broadwell CPU generation (5th Gen. 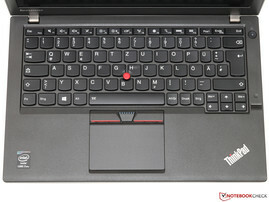 Core) from the chip giant Intel, Lenovo now offers a new version of the successful model – the ThinkPad X250. As usual, potential buyers can choose from numerous configurations, which start with a comparatively inexpensive base model (WXGA display, Core i3 CPU, from 950 Euros, ~$1084) all the way up to a real high-end machine for almost 2,000 Euros (~$2282, Full HD display, Core i7 CPU, LTE module). 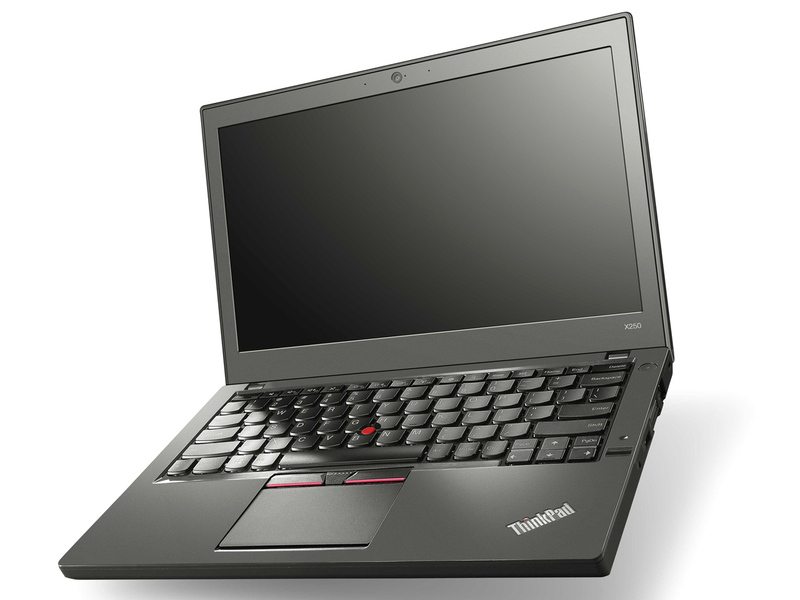 Thanks to generous education discounts, students and teachers can get a pretty well-equipped X250 for a comparatively low price. Our review unit is equipped with a Core i7-5600U, 8 GB RAM, 360 GB SSD storage as well as a Full HD IPS panel, but it is just affordable at almost 1,300 Euros (~$1483) without operating system – although this obviously depends on your wallet. The strongest rivals for the ThinkPad are once again provided by Dell and HP. 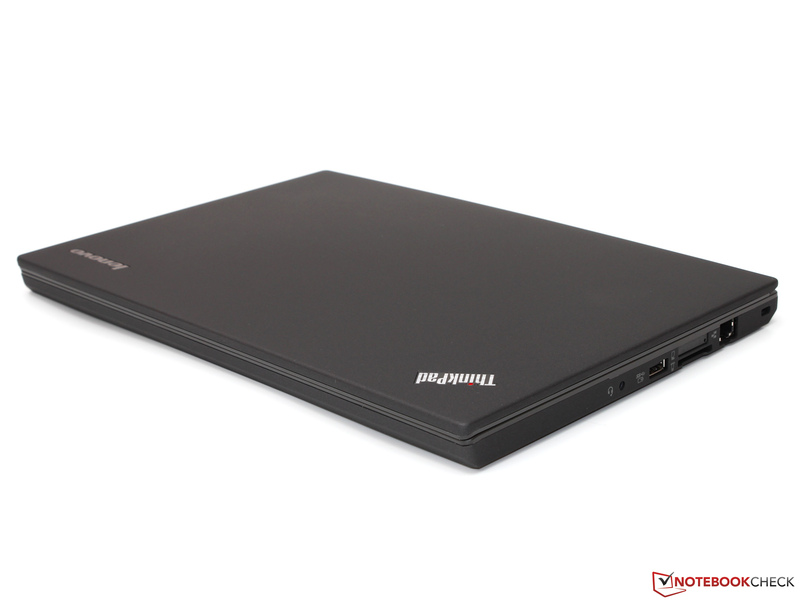 While the Latitude 12 E7250 already uses the modern Broadwell platform as well, the EliteBook 820 G1 is still powered by the Haswell predecessor; the updated successor 820 G2 should be available soon and we will review the device over the next couple of weeks. 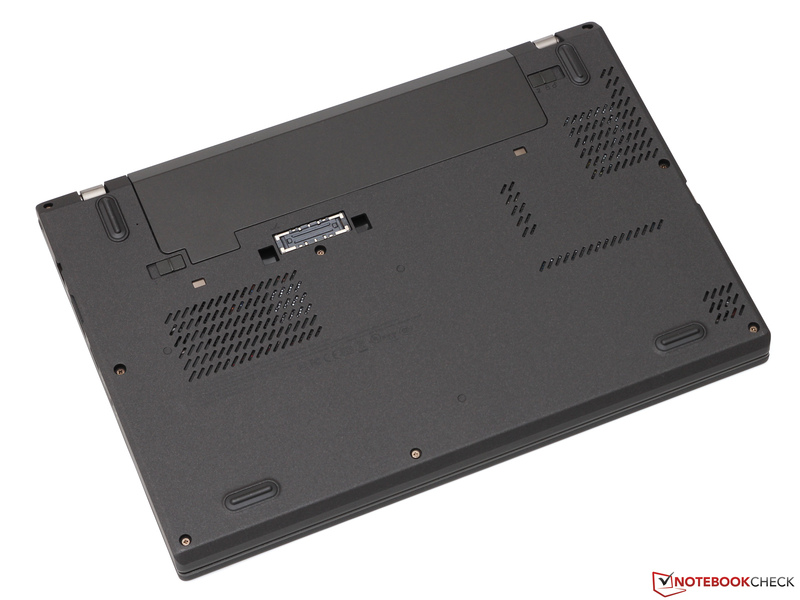 Lenovo introduced some significant chassis changes with the ThinkPad X240, so the modifications are pretty subtle this year: The design of the matte gray X250 is almost completely identical to the predecessor; the minor differences in terms of weight (1.43 kg) and height (20.3 mm) are negligible. 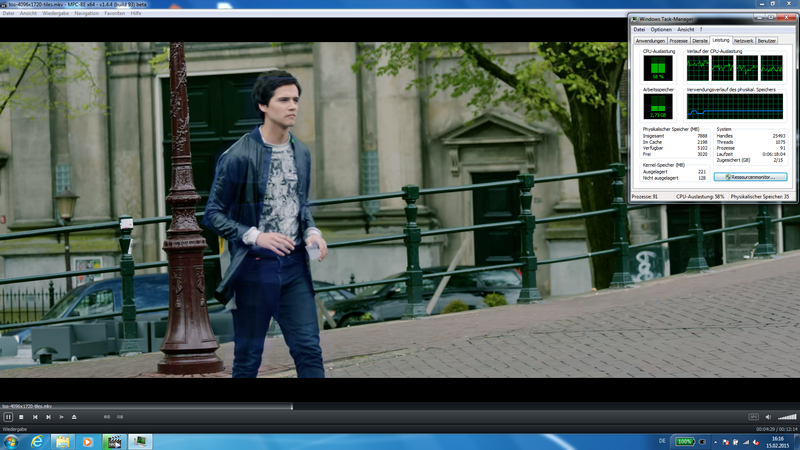 The rivals from Dell (1.5 kg, 19.4 mm) and HP (1.52 kg, 21 mm) are very similar. 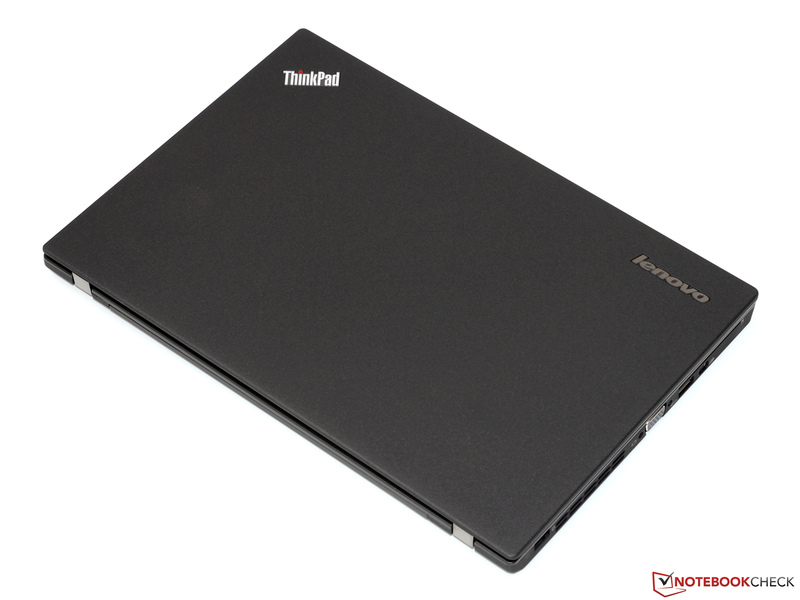 Lenovo uses a glass-fiber reinforced plastic chassis with an integrated magnesium frame to ensure a sufficient stability despite the low weight. An effort that paid off: Except for some small areas, for example, the slightly flexible area above the keyboard, the chassis leaves a very sturdy impression. 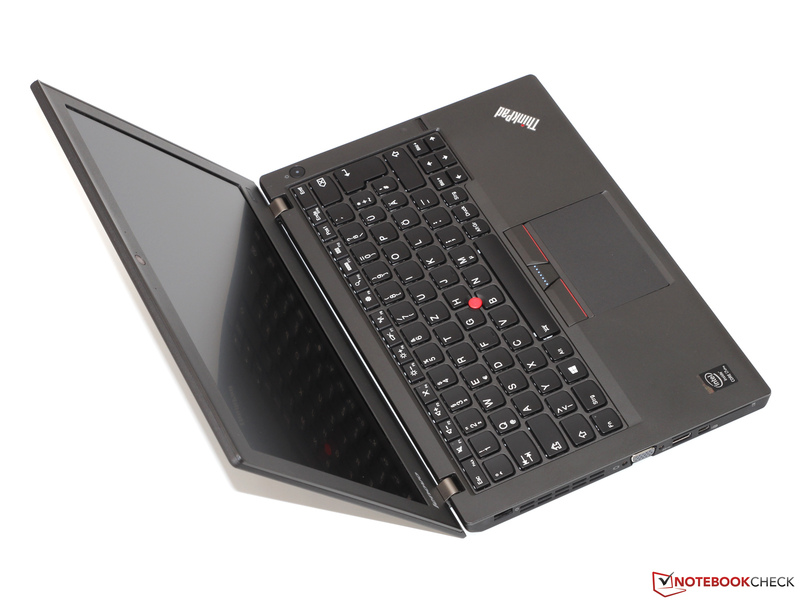 The X250 was also tested according to military standards including the resistance against vibrations, humidity, dust and temperature changes – even though the notebook will hardly face those kinds of stresses in practice it is certainly reassuring in respect of the product quality. 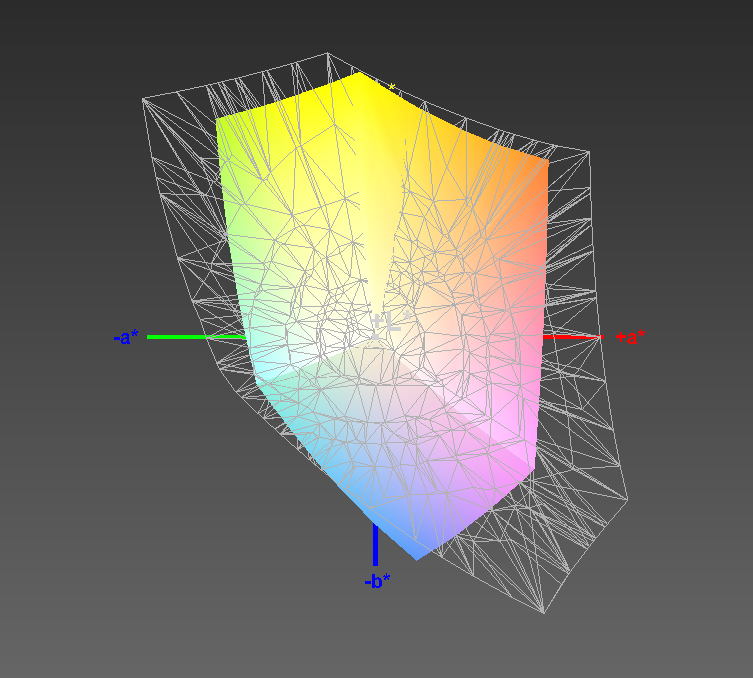 The lid cannot quite keep up with the stiffness of the base unit and slightly twists under moderate pressure. Still, this issue is not really a cause for concern, especially since a certain amount of flexibility can even protect against serious damages in some cases – a crack, for example. The panel is once again held by massive metal hinges that hardly bounce during vibrations and allow a maximum opening angle of up to 180 degrees. All things considered, the best description for the case is probably "functional" – not the design but the function and the ergonomics were more important during the development. 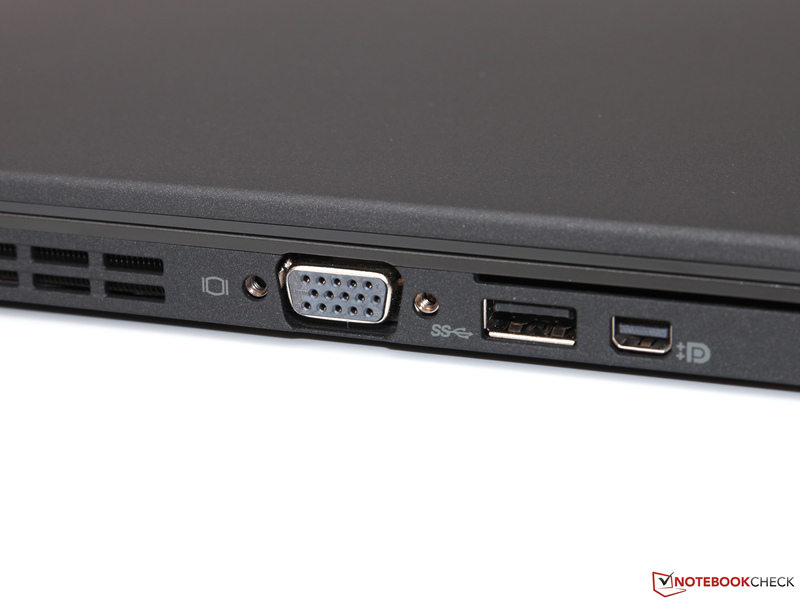 You still only get two USB 3.0 ports, which means the connectivity of the ThinkPad cannot quite keep up with the Latitude E7250 or EliteBook 820 G1 – both rivals have one USB port more. Otherwise, the port variety meets the usual standard: External displays can either be attached via VGA (analog) or mini-DisplayPort (digital, up to 3840x2160 pixels, 30 Hz) and you obviously get common ports like the headset jack or the SD/MMC-card reader. A docking station is a good idea if you plan to use the notebook as a stationary device. 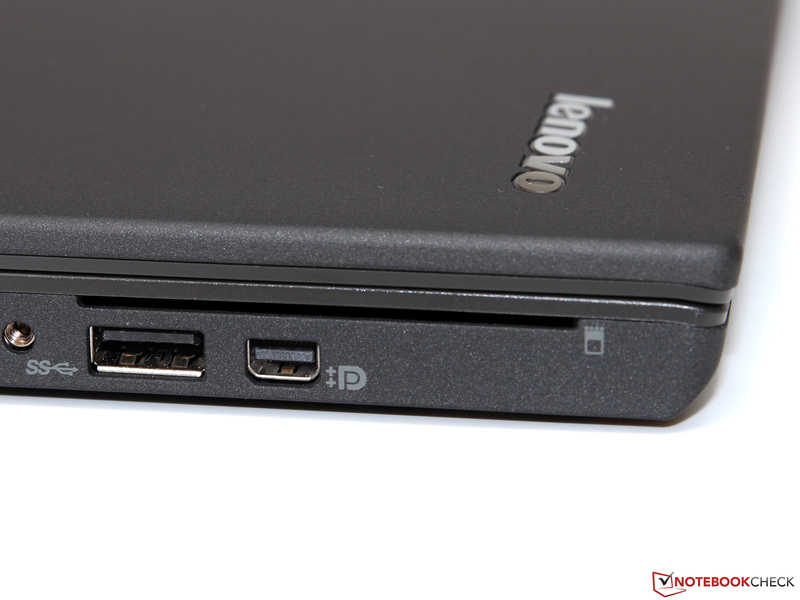 Lenovo did not change the corresponding port at the bottom, so owners of the predecessor can use existing solutions like the Lenovo ThinkPad Ultra Dock (around 150 Euros, ~$170) without problems. 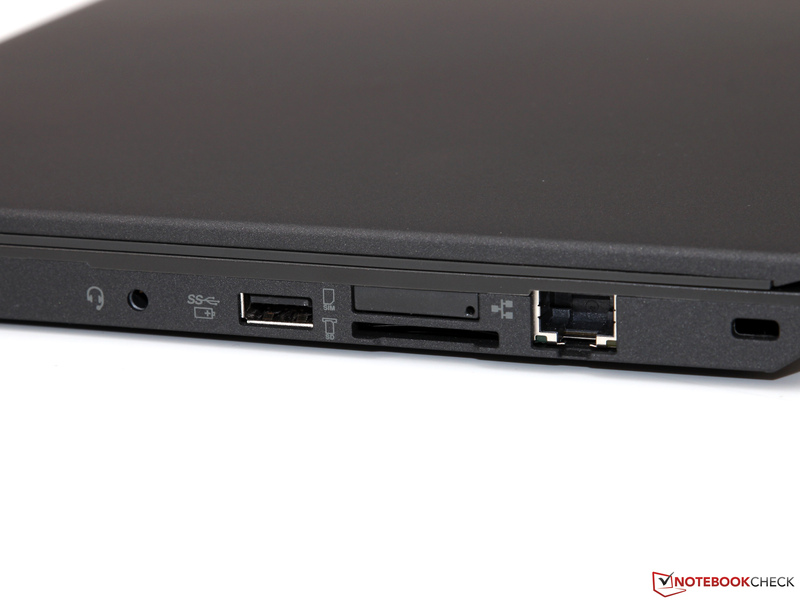 Besides a large number of additional ports such a dock also has the advantage that attached devices and cables hardly affect the user – the ports at the notebook are located at the left and right sides of the case, respectively. 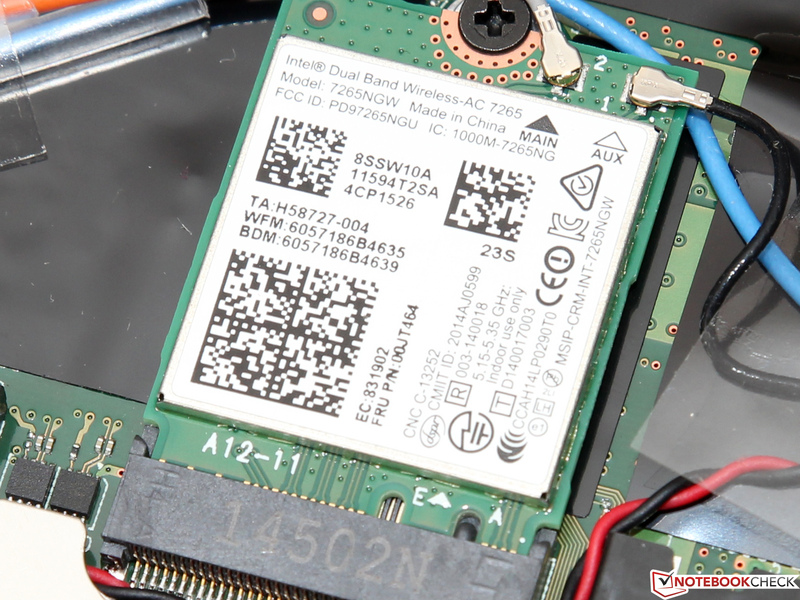 Both the Gigabit-LAN (Intel I218-LM) as well as the wireless adaptor (Intel Dual Band Wireless-AC 7265) of the X250 are provided by Intel and are among the best products you can currently get in this segment. The wireless module was introduced together with Broadwell and supports all current WLAN standards in 2.4 as well as 5 GHz networks (802.11 a/b/g/n/ac) besides Bluetooth 4.0. We were able to determine excellent transfer rates of around 40 up to 45 MB/s in our test – you obviously do not only need a corresponding dual-stream 802.11 ac router like our TP-Link Archer C7, but also a suitable environment for these results. The performance is reduced at longer distances, but the overall signal quality is still above average. We are almost used to a disappointing webcam: The 0.9 MP sensor takes noisy pictures with pale colors. The quality might be sufficient for video chats, but you should not expect decent snapshots or video clips. 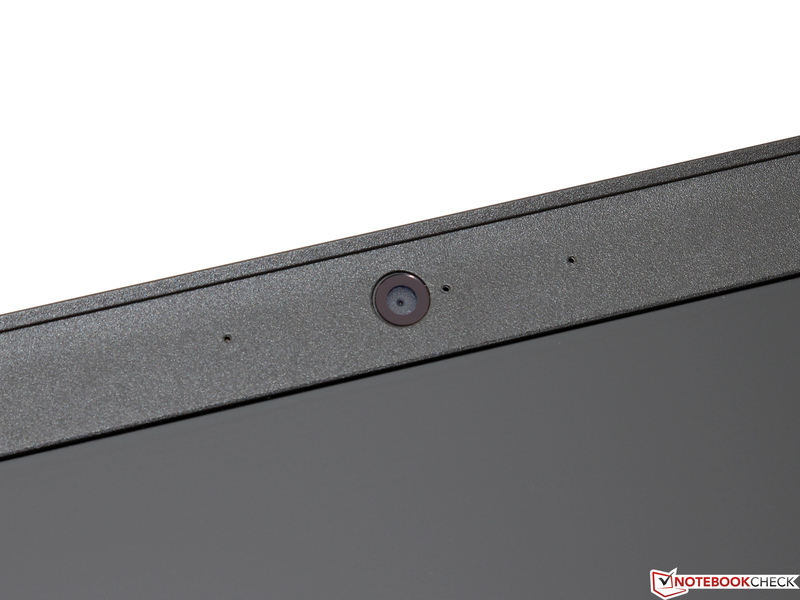 Lenovo at least integrated a very decent array microphone, which means you usually do not need an external headset. 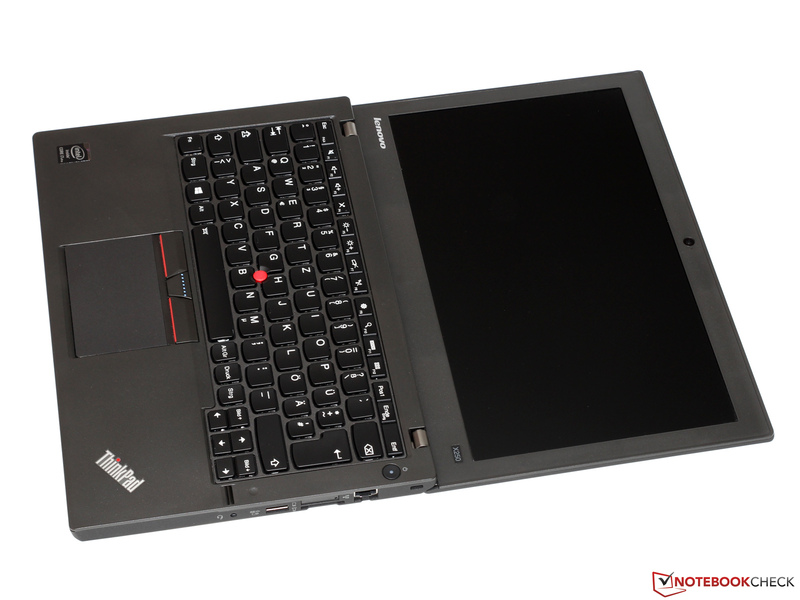 The X250 is a real ThinkPad and is therefore equipped with several administrative and security features like TPM, SmartCard reader, fingerprint reader and vPro support (depends on the CPU). BIOS and hard drive can be protected with a password and the notebook also supports Anti-Theft/Computrace – even though this requires an additional service contract (additional charge). We got used to the fact that many manufacturers do not ship many accessories, but we have to criticize that Lenovo does not even put a driver CD or a better solution like a USB stick in the box, especially when you consider the price. Still, all the necessary files can easily be found on Lenovo’s Support website, so the installation of an operating system – in our case Windows 7 Professional 64-bit – is quick and painless. 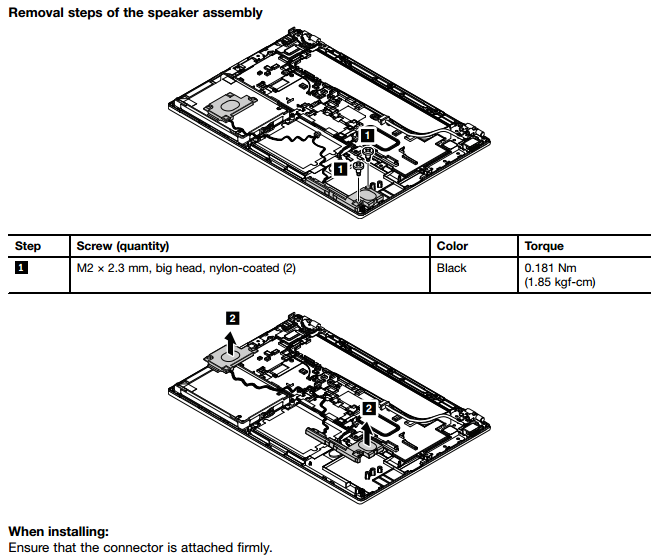 It is a good idea to have a look at the provided Hardware Maintenance Manual, which describes all procedures, before you clean the fan or upgrade the device. This is the short version: After the removal of 8 screws you have to carefully lift the bottom cover, which is also secured by some clips. 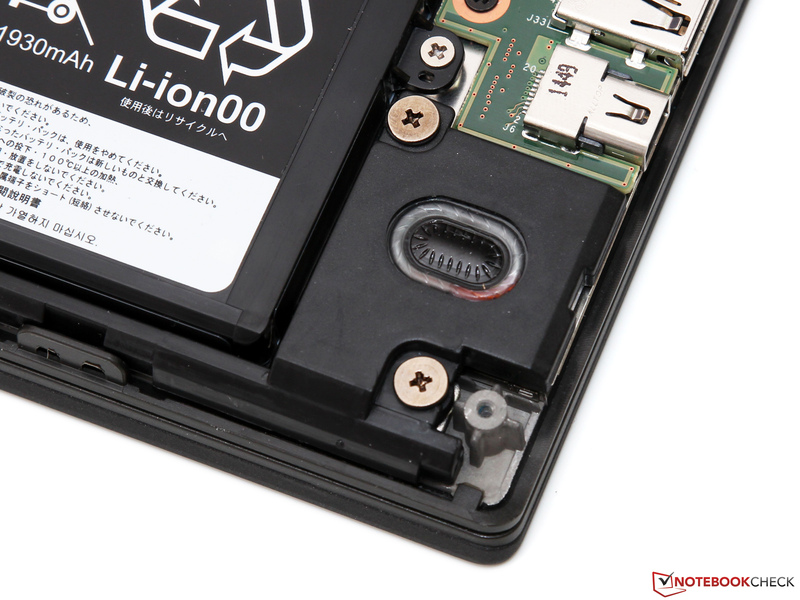 After that you have access to the internal 24 Wh battery, the 2.5-inch drive (supports drives with a height of up to 9.5 millimeters), the WLAN adaptor as well as the only memory module. 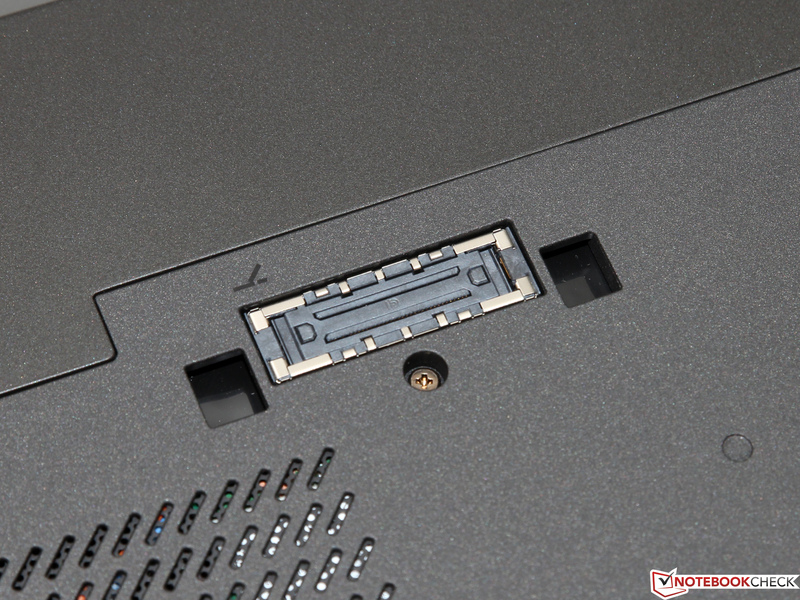 The free M.2 slot for the WWAN card (antenna cables already installed) can also be equipped with a second SSD. 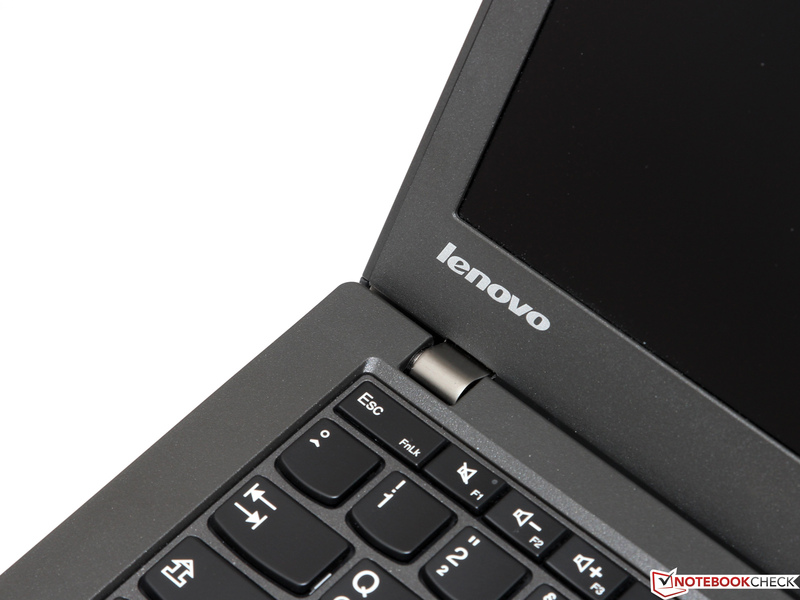 Lenovo grants a warranty of 36 months – longer runtimes and additional services like on-site repairs or accidental protection are available for an additional charge. The exact offers and prices are available on the website of the manufacturer after you entered your serial number; an upgrade to five years would cost at least 168 Euros (~$191) for our review unit. 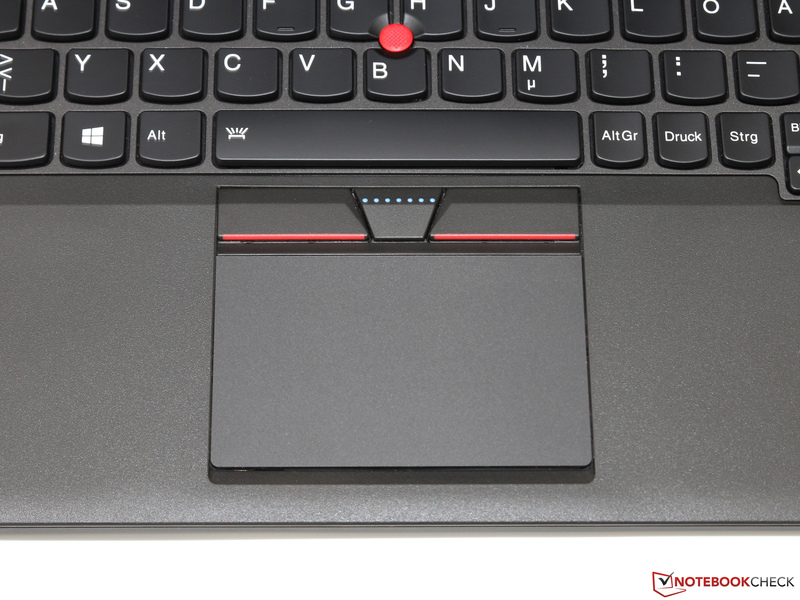 Lenovo uses the spill-water protected chiclet keyboard from the X240 without any visible changes for the X250. 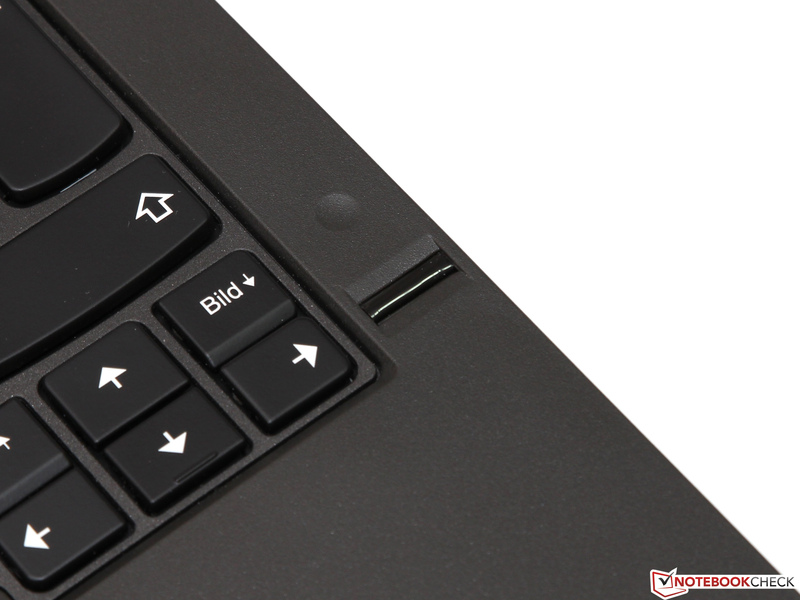 There was no reason for bigger modifications anyway: Except for the familiar ThinkPad characteristic with switched Fn and Ctrl keys (can be changed in the BIOS), the keyboard is actually pretty close to a perfect input device in our opinion. The combination of firm pressure point, generous travel and high stability creates a very rich and mechanical typing experience, which can hardly be matched by any other notebook-series. 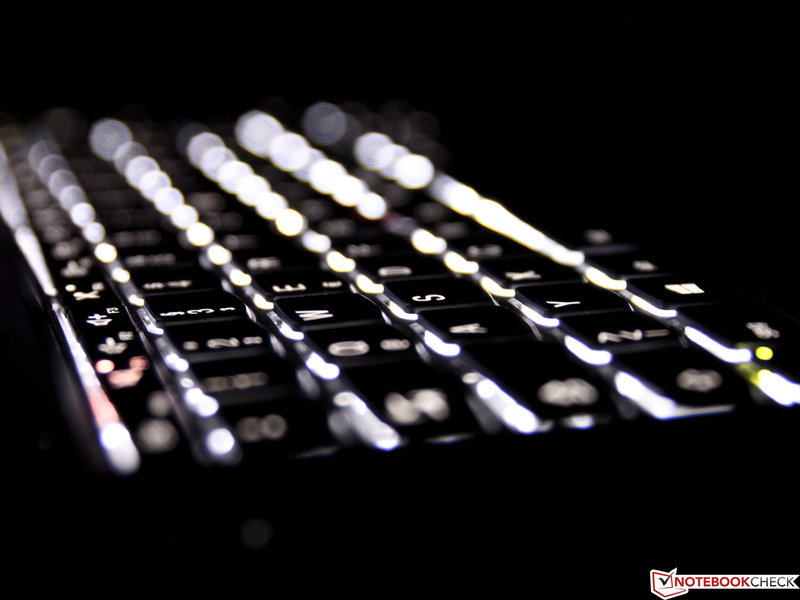 The keys can be illuminated by white LEDs in dark environments; the intensity can be adjusted in two steps. The so-called UltraNav unit with the TrackPoint and touchpad was criticized in our last review since the lack of dedicated mouse buttons resulted in some significant comfort restrictions. 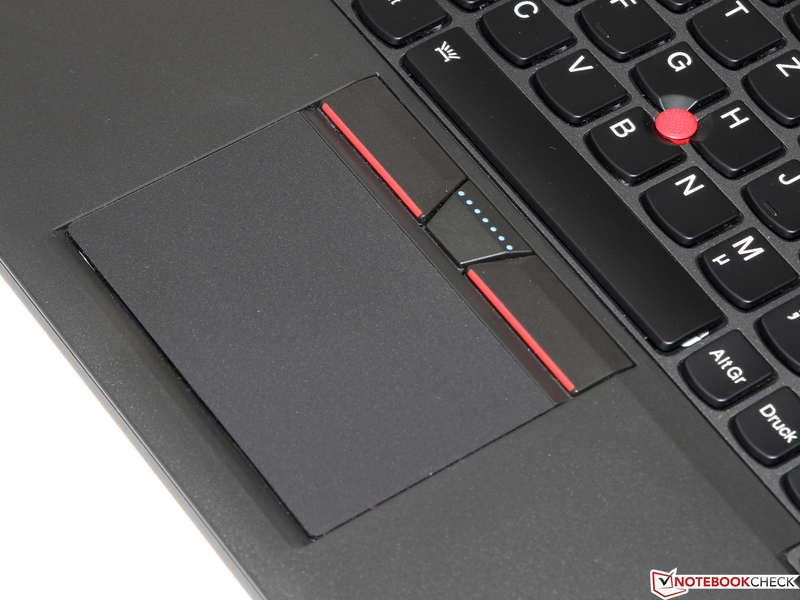 The manufacturer now uses the old solution once again – at least to a certain extent: The TrackPoint gets back its three dedicated buttons with a smooth stroke, whereas the slightly smaller touchpad (8.7 x 5.3 centimeters) is still a fully integrated ClickPad. 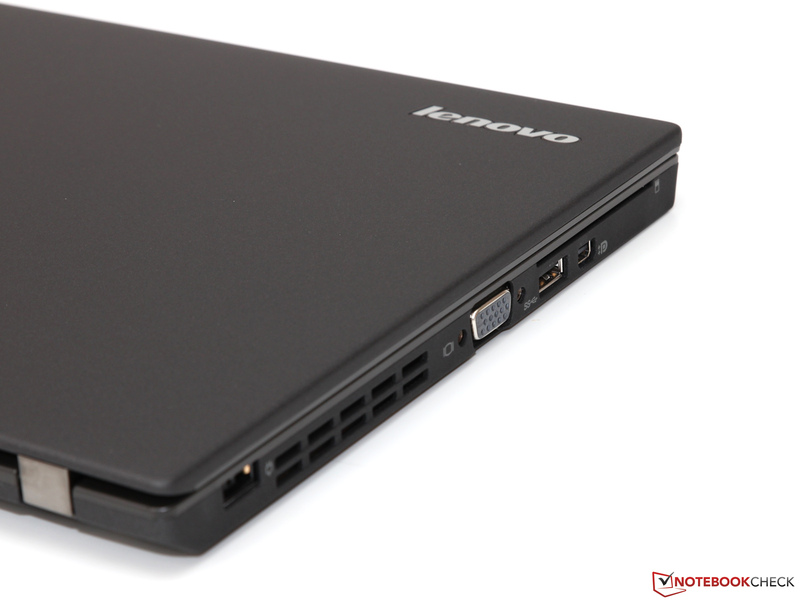 Even though Lenovo’s implementation can convince with a firm and well-defined pressure point, we prefer the typical design (see Latitude or EliteBook, for example). Still, the touchpad of the ThinkPad works pretty well and convinces with good gliding capabilities as well as the accurate execution of multi-touch gestures. Potential buyers of the X250 can choose between five different 12.5-inch displays: The least expensive solution is a TN panel with the WXGA resolution (200 cd/m², 300:1), followed by an IPS panel with 1366x768 pixels (300 cd/m², 700:1), which is also available in combination with a touchscreen (270 cd/m², 700:1). The two Full HD versions use the superior IPS technology and are available with (360 cd/m², 700:1) or without a touchscreen (400 cd/m², 700:1). 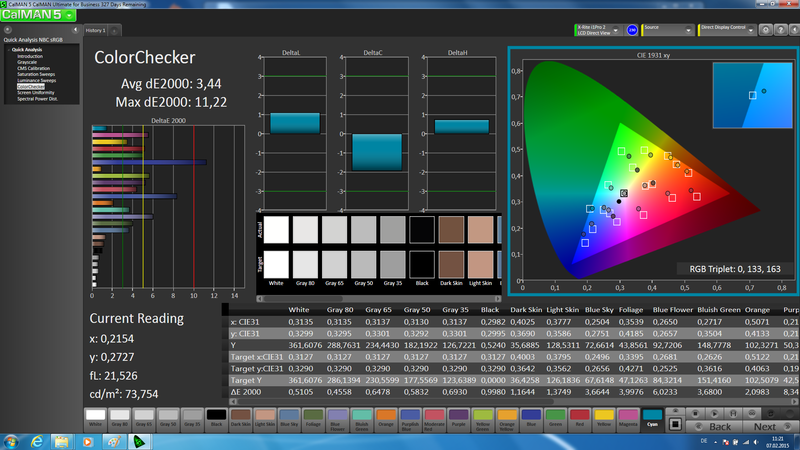 Our review unit is equipped with the matte non-touch panel with 1920x1080 pixels and 176 ppi. We measure 357 cd/m² and therefore cannot confirm the advertised maximum brightness, but the backlight is still way too bright for indoor environments and has to be dimmed – if necessary down to just 4 cd/m² (no visible PWM flickering). Despite the mediocre brightness distribution of just 81%, the picture is subjectively very even and you can hardly see any screen bleeding even with completely dark picture content. The IPS panel from the manufacturer LG supports its excellent quality with a contrast ratio of 902:1 and the advantages compared to a cheap TN panel are visible right away: The picture looks more vivid and both the black value and the colors appear richer. 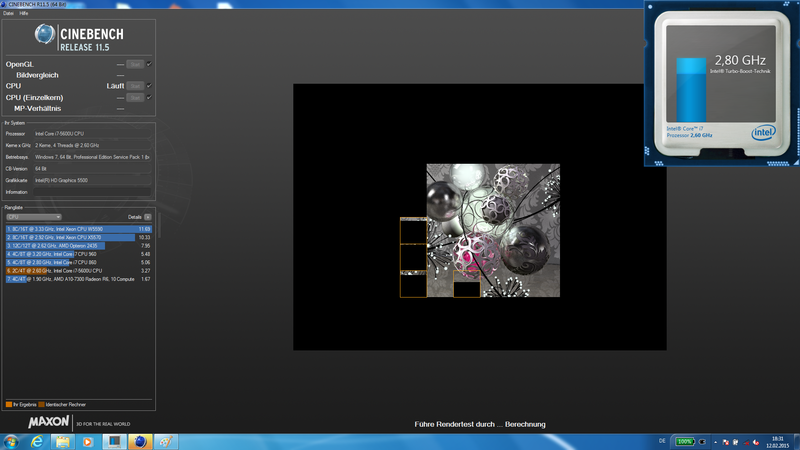 Not only pictures and videos benefit from that, you will appreciate the great display during office tasks as well. However: Other manufacturers also offer comparable panels. 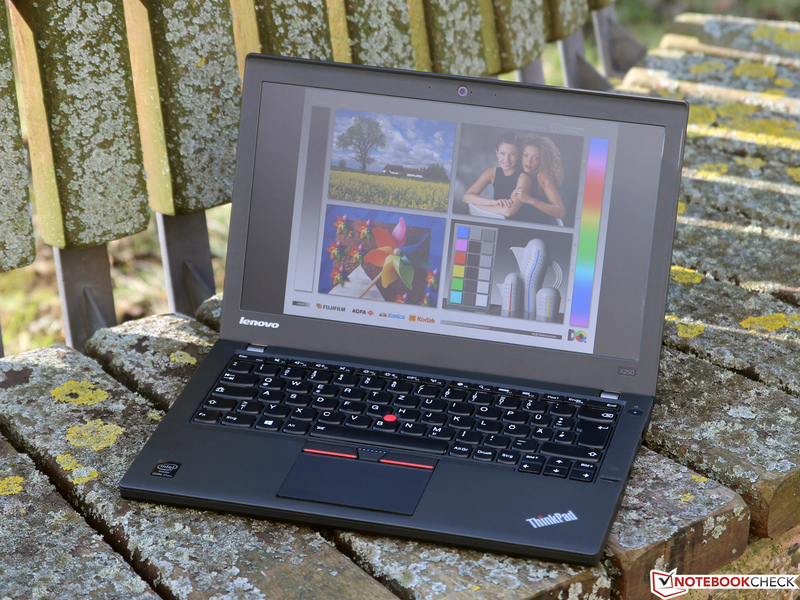 The small display size of the X250 is not perfect for PhotoShop or similar applications, but the ThinkPad is more than sufficient for the occasional editing of holiday pictures. 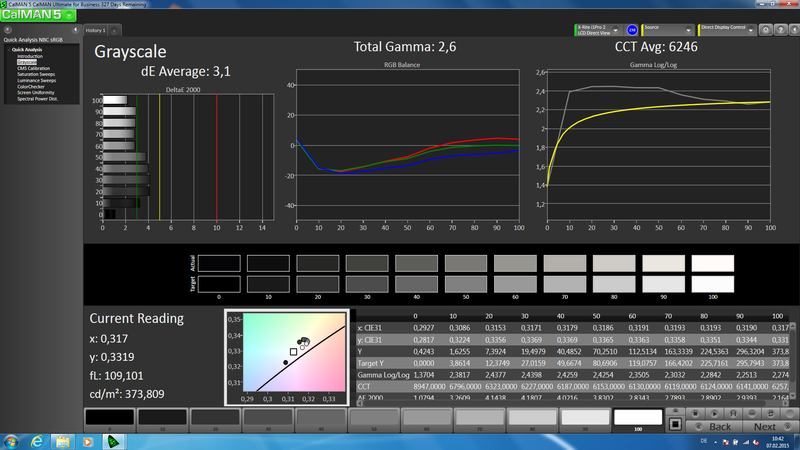 Colors (DeltaE 4.2) and the grayscale (DeltaE 3.1) already show pretty low deviations out of the box and the situation can be further improved with a calibration. The limited color-space coverage (42% AdobeRGB, 66% sRGB - (Correction 20.5.2015 due to a wrong sRGB-reference-profile)) for blue and magenta colors in particular, unfortunately, prevents even better results. Not only high contrasts and rich colors are advantages of IPS panels – the superior viewing-angle stability justifies the additional charge over other display technologies as well. It does not matter from which side you look at the display of the ThinkPad: The picture quality hardly changes even with very big deviations from the center. Only the view from an angle above results in a visible deterioration of the black value. 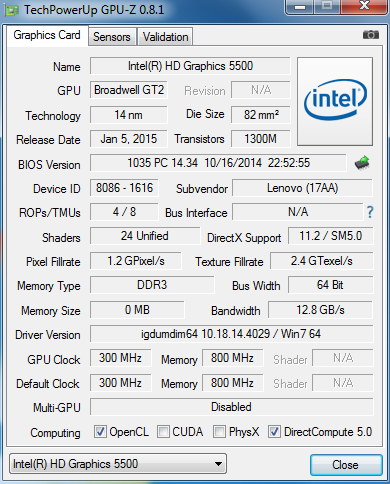 The Core i7-5600U is currently the fastest chip with a TDP of 15 Watts. 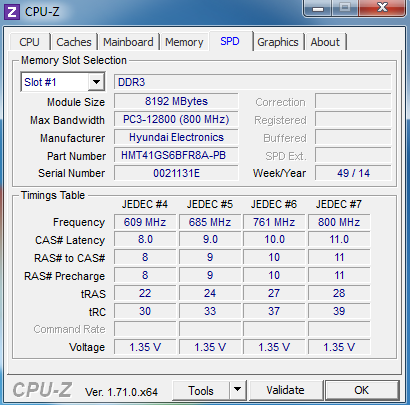 The high nominal clock of 2.6 GHz for the dual-core processor surpasses the previous high-end chip Core i7-4600U (Haswell) by 500 MHz, which is pretty remarkable. 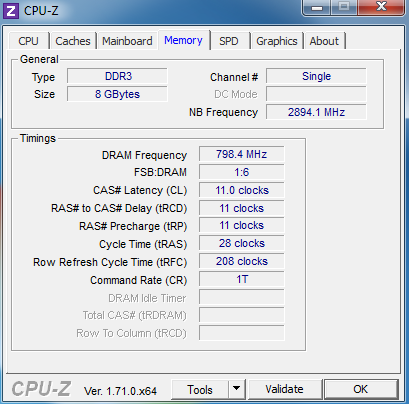 It is, however, interesting that the maximum Turbo clock was lowered by 100 MHz to 3.2 GHz. 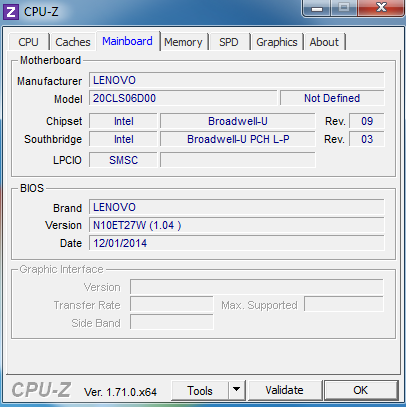 This difference should be compensated for by the higher per-MHz performance of the Broadwell architecture. 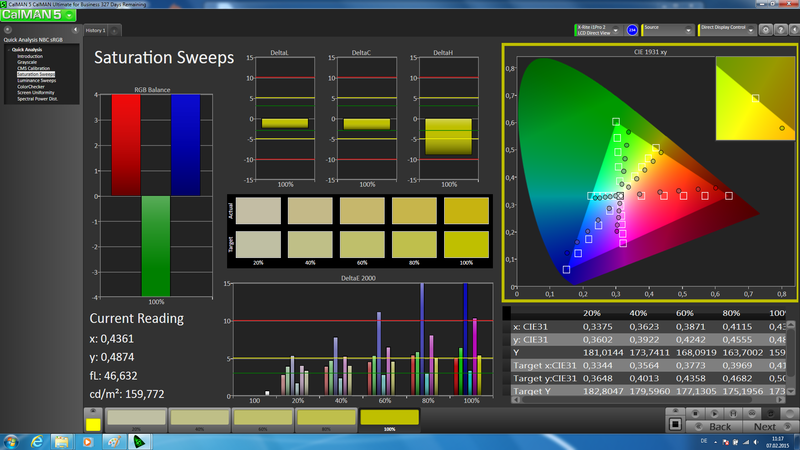 We collected all the information about the new 14 nm generation in our CPU database and a separate architecture article. The integrated graphics solution with the designation HD Graphics 5500 was reworked as well and now has 24 Execution Units (HD 4400: 20 EUs) that run with 300 up to 950 MHz. It is also the first time that an Intel GPU supports DirectX 11.2 – a feature that has already been supported by several AMD and Nvidia chips for a while now. 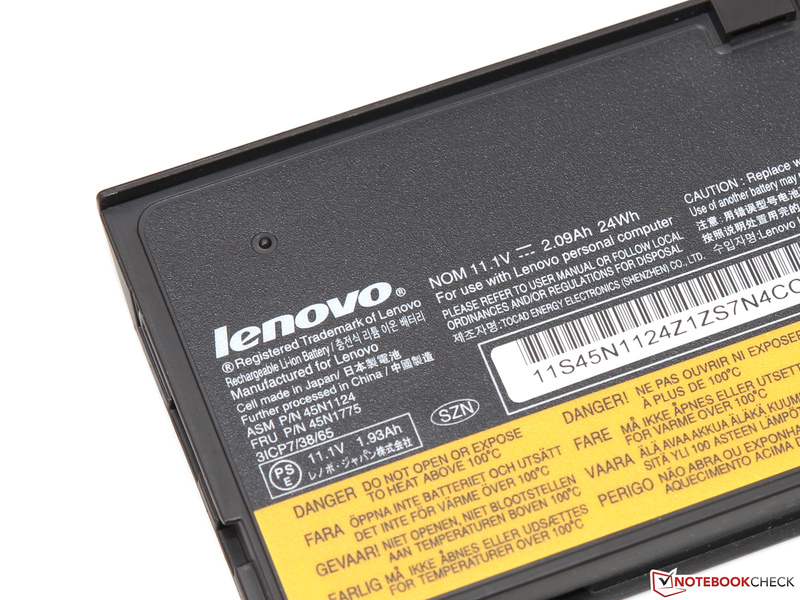 Lenovo only integrated one memory slot, which means the existing 8 GB DDR3L-1600 RAM are also the maximum equipment. Also annoying: This means the memory can only work in a slow single-channel configuration, which affects the graphics performance significantly. 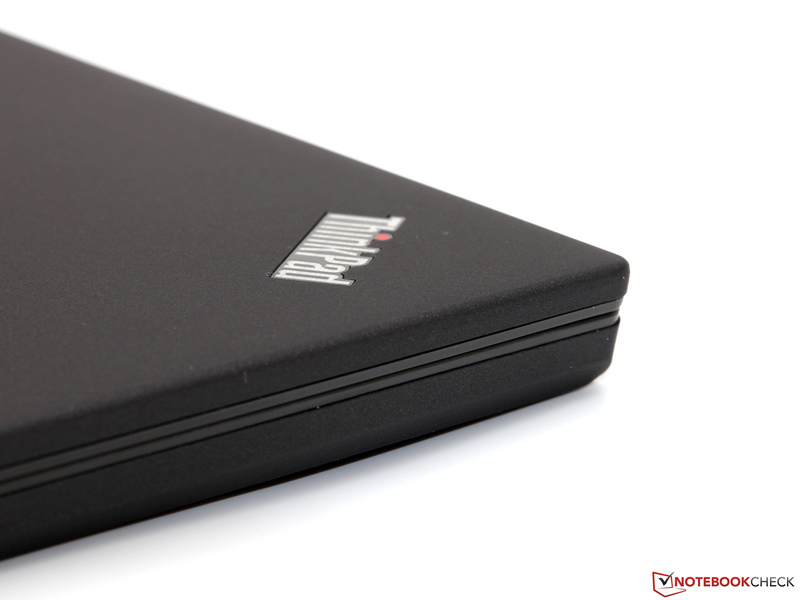 The storage solution is a 2.5-inch SSD with a capacity of 360 GB. Whether a modern CPU can deliver the expected performance primarily depends on the utilization of the Turbo Boost, in the ULV segment in particular. 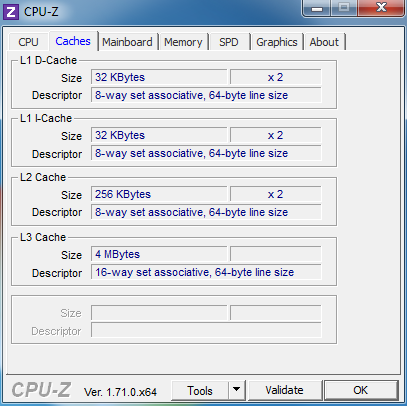 The processor can only maintain the specified maximum clock if the temperature development and the power consumption are in the permissible range. 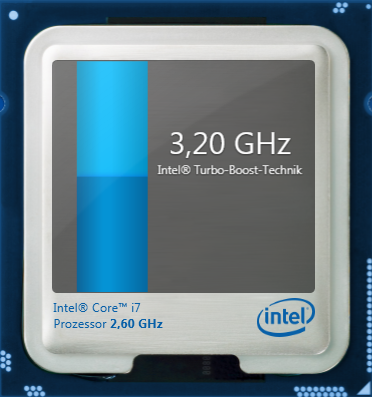 Our Core i7-5600U can reach up to 3.2 GHz (one core) and 3.1 GHz (two cores), respectively. We can see the expected 3.1 GHz immediately after we start Cinebench R11.5 (multi-threading), but the clock drops to 2.8 GHz after around 30 seconds. The reason: Despite the 14 nm manufacturing process, the CPU consumption reaches around 19.5 Watts with the maximum Turbo Boost, only the slight reduction to 2.8 GHz throttles the chip to 15 Watts. The TDP is, however, no limiting factor in single-core scenarios; the integrated sensors show 3.2 GHz with a consumption of around 11 Watts, so the clock is steady. This behavior is similar on mains and on battery power. Thanks to the combination of higher clocks and improved micro architecture, the Core i7-5600U can beat the old Core i7-4600U by 5 up to 20%, depending on the benchmark. You should still evaluate if you really need such a high-end model – a Core i5, like the one we recently reviewed in the Dell Latitude 12, costs less and is not that much slower. 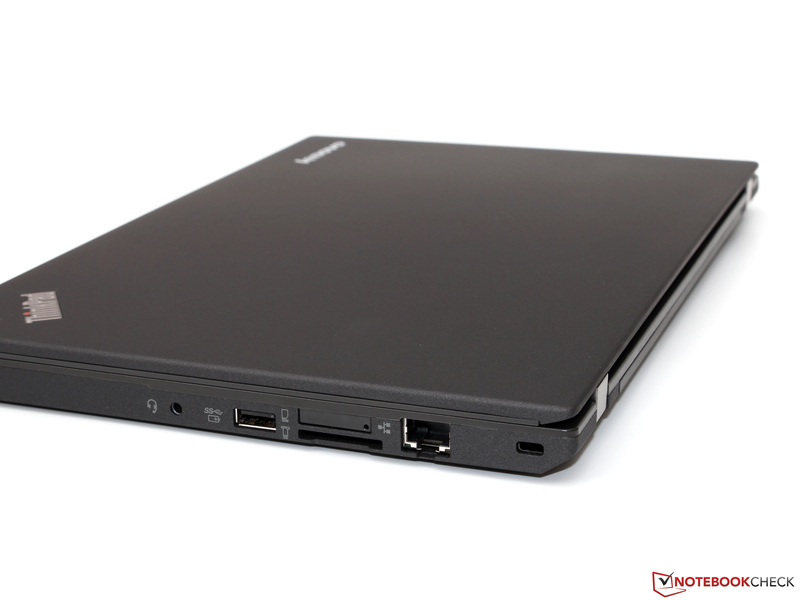 The Intel SSD Pro 2500 with a capacity of 360 GB inside the Lenovo is not just any SSD, but a model that was specifically designed for professional scenarios. This is indicated by the manufacturer's warranty of five years, but also by other features: The drive meets the TCG Opal 2.0 standard and is therefore compatible to Microsoft's eDrive, a technology for a hardware-based encryption of files. The performance results of the drive, which is based on the familiar Sandforce controller SF-2281 with MLC storage from Hynix (20 nm), are a bit disappointing. 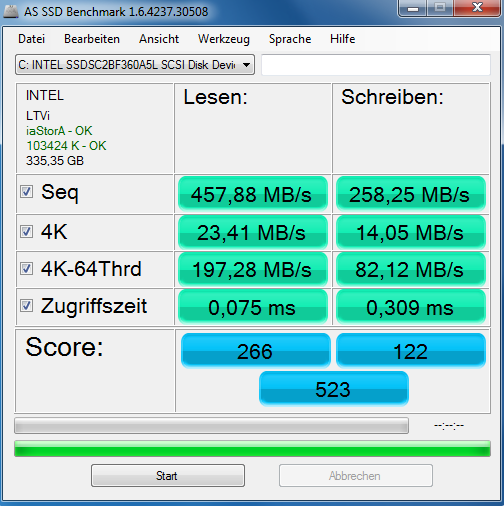 While the sequential transfer rates of 458 MB/s (read) and 258 MB/s (write) are actually on par with other current SSDs, we can see that the writing performance of small 4K files is far behind comparable rivals. 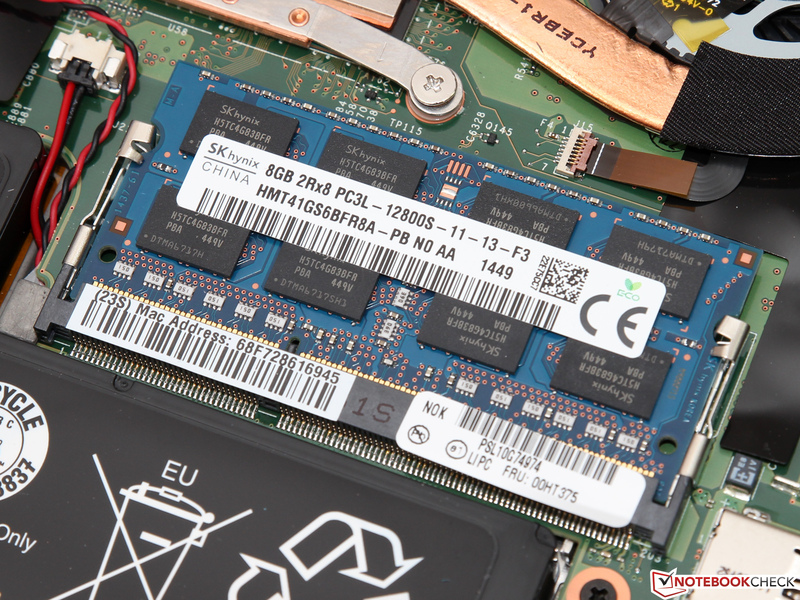 What are the effects of the mediocre SSD performance in practice? Subjectively, there are none: System starts, loading times and installations are just as quick as you would find from other flash drives. The powerful processor obviously does its part as well and even handles excessive multi-tasking or very demanding software without bigger problems. The performance of the Core i7-5600U can even compete with a quad-core chip like the i7-4700HQ if an application can only use one or two cores. The partly average results in the synthetic PCMark can be explained with the previously mentioned SSD issues and should not be overstated in respect of the real performance. 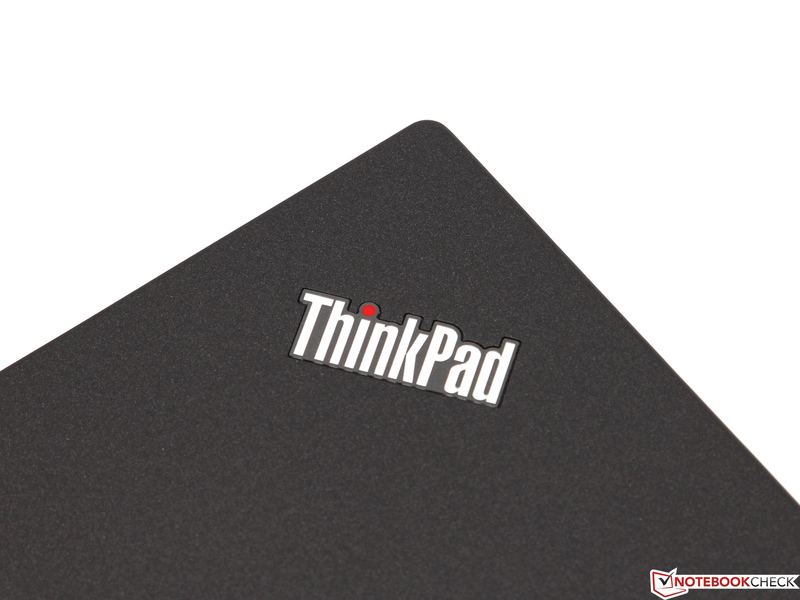 Similar to all the other rivals you can only get the ThinkPad with integrated processor GPUs. 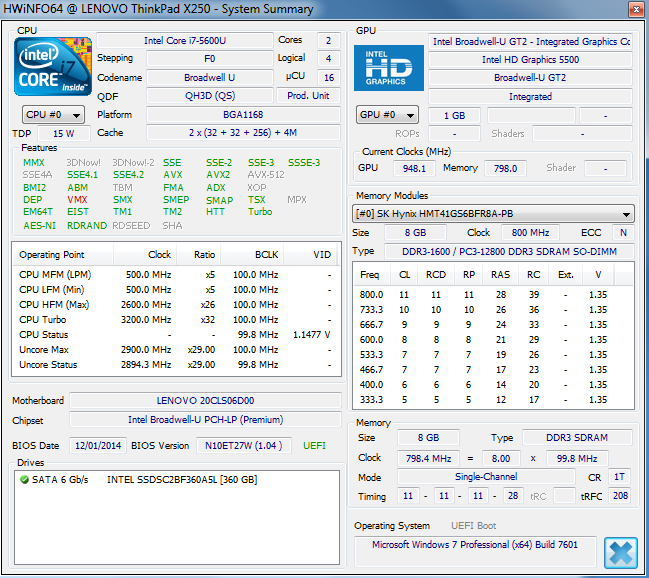 The direct comparison between the HD Graphics 4400 (X240) and HD Graphics 5500 (X250) shows a performance advantage of 20 up to 25% – which means the Broadwell GPU with a single-channel memory configuration has a small advantage over the Haswell counterpart with a dual-channel interface. However, we want to emphasize that the 3DMark-series usually does not really benefit from a higher memory bandwidth. The actual performance is still pretty low and cannot compete with dedicated low-end solutions like the Nvidia GeForce 820M, for example. The HD 5500 offers other qualities in return, starting with the low power consumption all the way up to flawless multimedia capabilities. The chip can handle high-resolution H.264 videos with minimum CPU load or transcode very quickly and efficiently via Quick Sync. 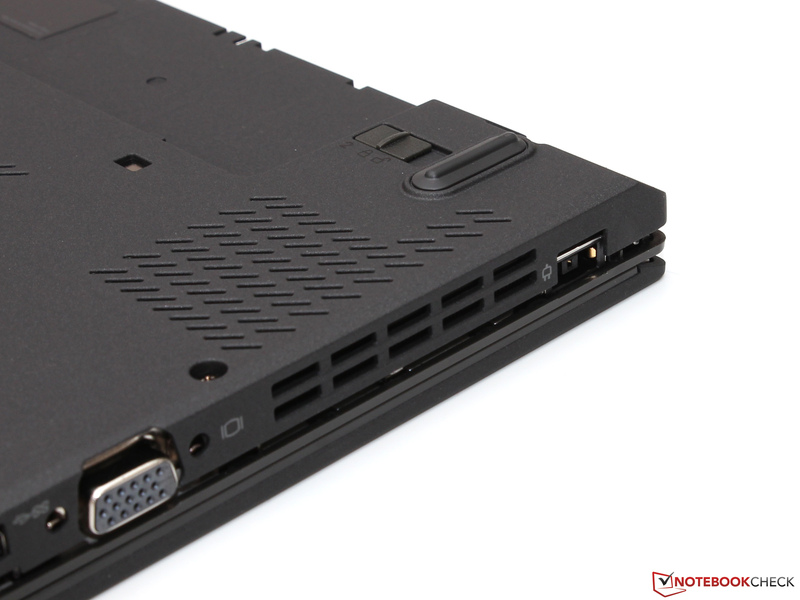 Complex 3D games are not really a common scenario for the X250 when you consider the business orientation as well as the low graphics performance. The HD Graphics 5500 is powerful enough for smooth frame rates when you play simple titles like Diablo 3 or Dota 2 with medium settings, but current games with impressive graphics are too demanding. 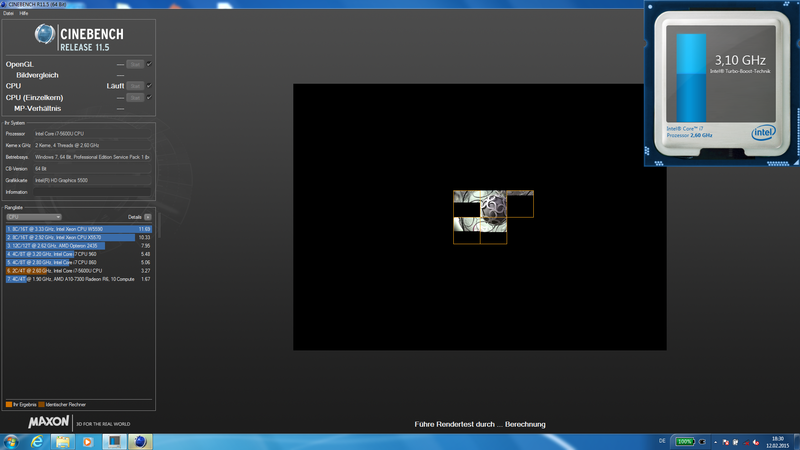 Far Cry 4, Assassin's Creed Unity or Ryse: Son of Rome only run with 10 -15 fps, even in 1024x768 and with the lowest settings. 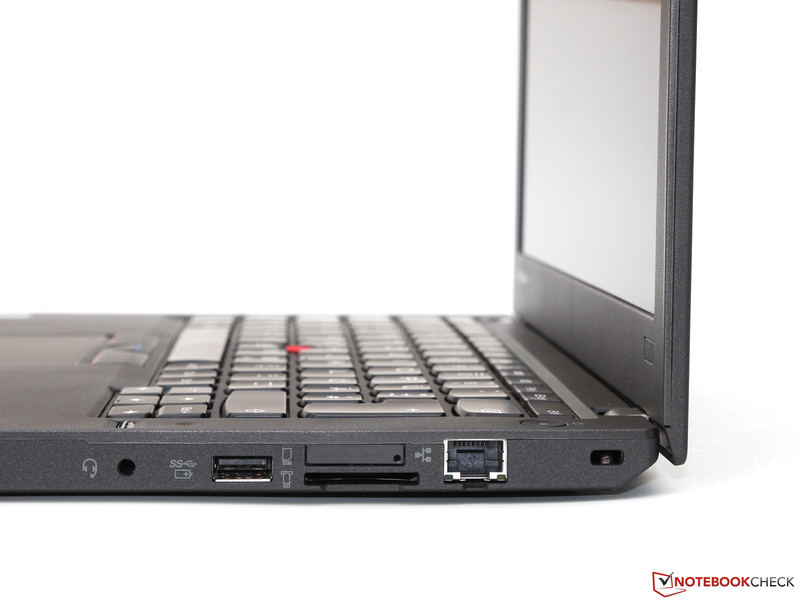 A quiet operating noise was always an advantage of the ThinkPad-series – a tradition that does not change with the X250. 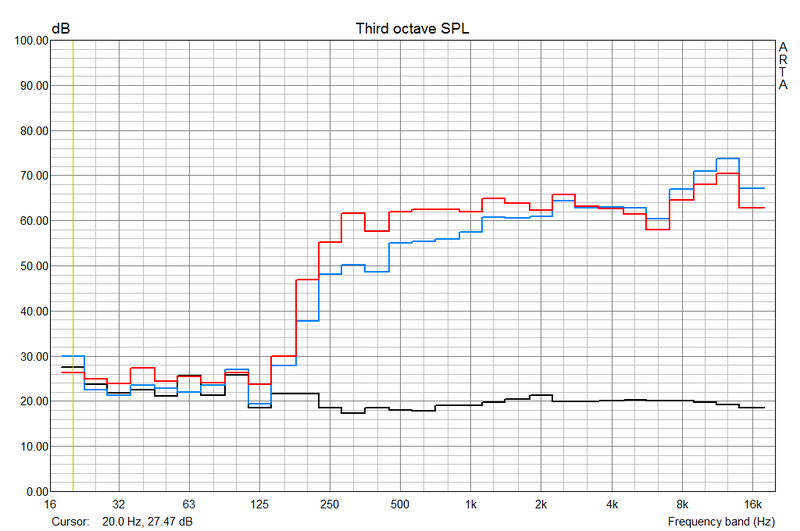 Light workloads rarely need the fan at all, but even the activated fan only produces around 30 dB(A). The maximum noise is 33.7 dB(A), which is the best result within our comparison group with the Latitude 12 (up to 42.8 dB(A)) and EliteBook 820 G1 (up to 35.8 dB(A)). The gentle murmur is subjectively very even and has a low frequency. You can activate the so-called "Turbo Boost+" mode in the Lenovo Energy Manager to enforce higher fan speeds in favor of lower temperatures. 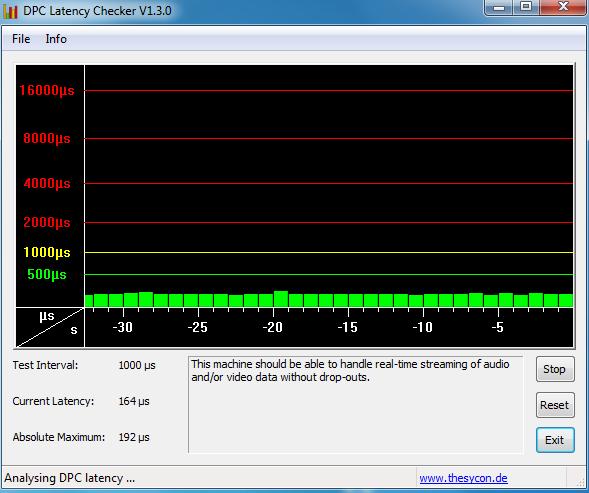 We could not notice any performance advantages, only a much higher system noise of more than 40 dB(A). The real challenge is not to build a quiet notebook – the cooling solution is only powerful if the temperature development is convincing as well. The cooling system of the ThinkPad X250 is certainly a success since large parts of the surface do not even reach 30 °C in our stress test. Only the area around the fan exhaust at the left side of the case is much warmer with almost 44 °C. 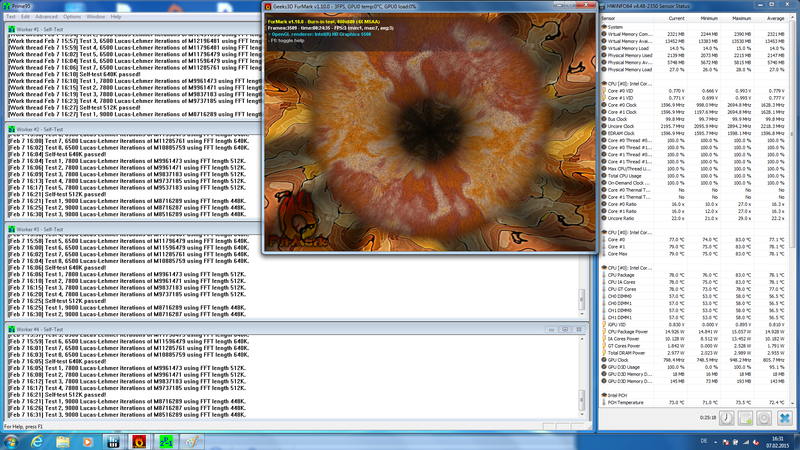 The user, however, does not really notice that and using the notebook on your lap is no problem at all. 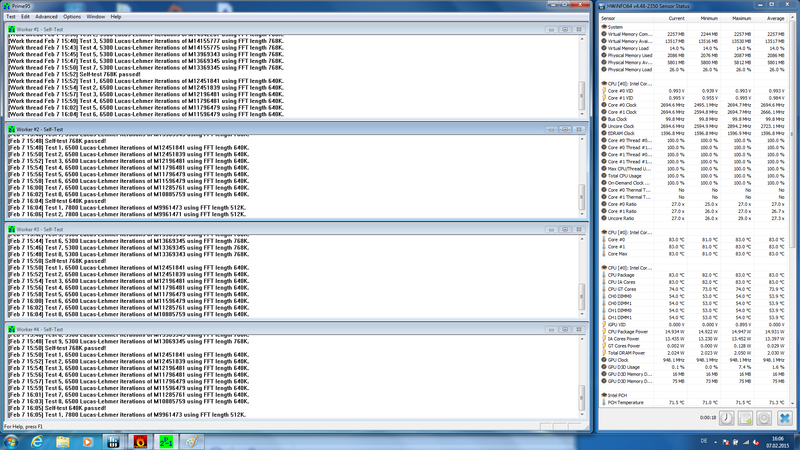 The Core i7-5600U suffers from throttling, despite uncritical core temperatures of around 80 °C. To stay within the TDP limit of 15 Watts, the chip lowers the CPU clock to 1.6 GHz while the GPU can run with 800 MHz. This behavior is typical for ULV hardware and should not be interpreted as a thermal problem of the notebook. Because of the low maximum volume, the lack of bass and the slightly shrill sound characteristic, we cannot recommend the integrated stereo speakers for movies or games. The emphasis on the high tones is apparent when you look at the amplitude frequency response that we recorded with the predecessor X240: The curve drops significantly below 250 Hz, and the inconveniently sharp high tones should be a result of the peak at around 12 kHz. Even cheap external speakers will improve the sound dramatically and are actually necessary for medium or large rooms. 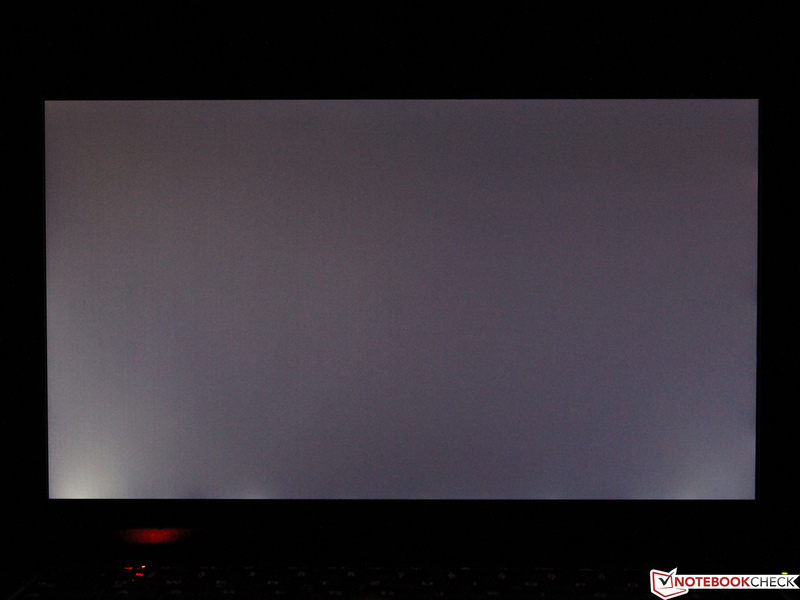 The idle consumption of the ThinkPad is only 2.7 up to 8 Watts, depending on the power plan, the display brightness and activated wireless modules. 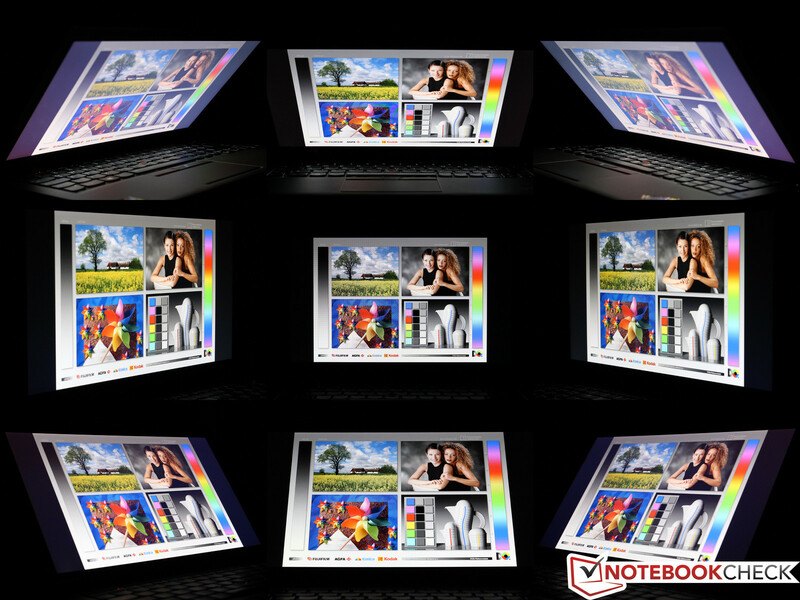 This means the X250 is among the most frugal subnotebooks in its class and beats the similarly equipped Latitude 12 E7250 (4.1 up to 9.4 Watts) by more than one Watt. However, we measure the consumption at the socket including the power adaptor, so the difference is not necessarily caused by the device alone. We can measure up to 44.3 Watts at the start of our stress test before it levels off at around 30 Watts after a couple of seconds. 3D games and CPU benchmarks resulted in similar values since the Broadwell chip automatically adjusts its clock to utilize the full TDP. 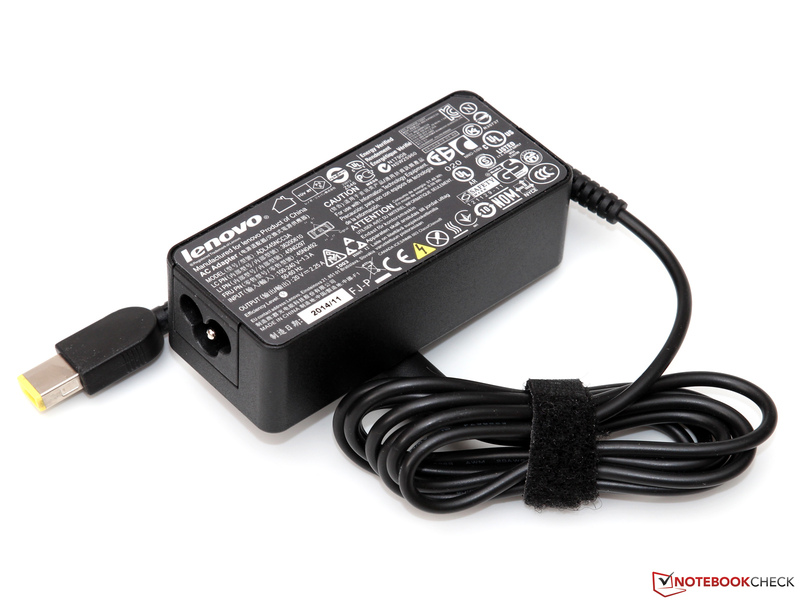 The provided 45-watt power adaptor therefore does not have a lot of headroom but is still sufficient. 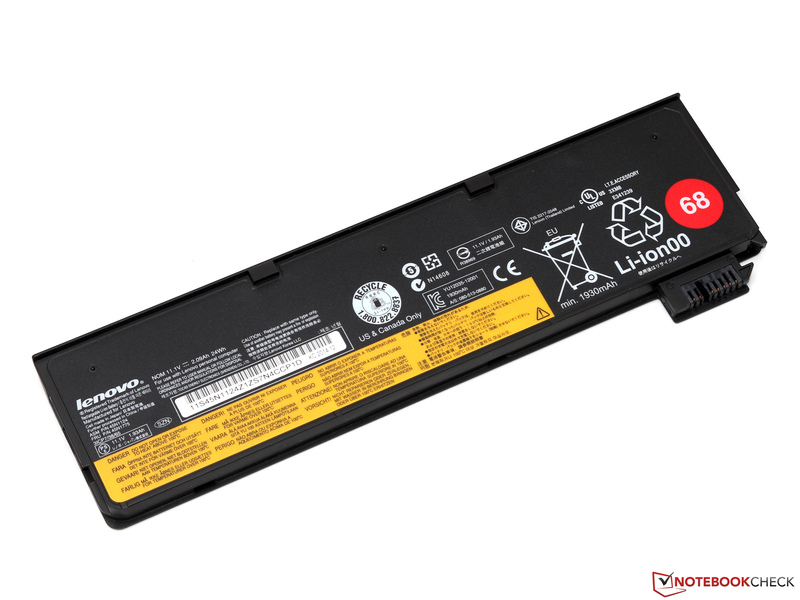 Lenovo introduced the so called "Power Bridge" system with the ThinkPad X240, which consists of an integrated 24 Wh battery as well as an optional secondary battery (24, 48 or 72 Wh) at the back of the device. 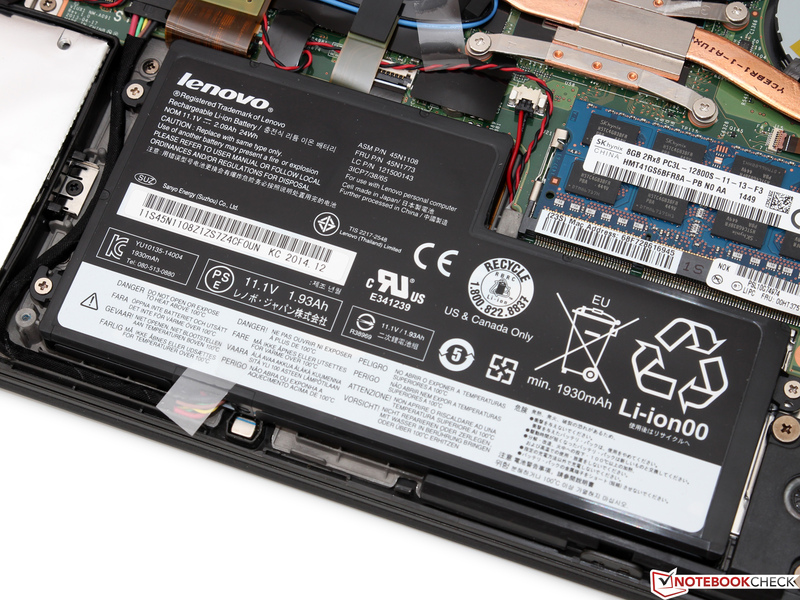 The advantage of this solution: The additional battery can be removed or replaced in operation and the user does not have to turn the notebook off. Our review unit is equipped with the small 24 Wh module, which is the only module that sits flush with the rest of the chassis. The result is a total capacity of 48 Wh for our review unit, but the usable value is just 44.5 Wh according to several tools. 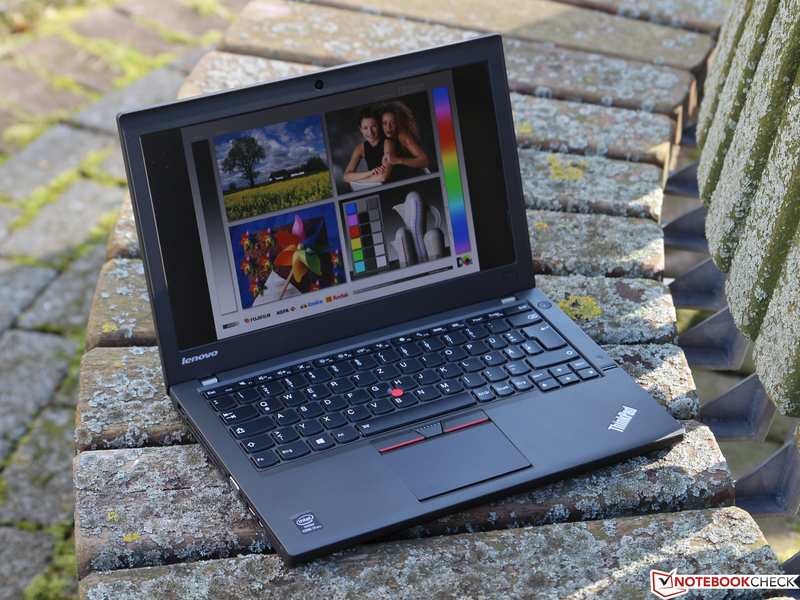 This might be a reason for the unexpected short runtimes, especially in the practical tests: The X250 only manages around 5 hours light web-browsing with a medium display brightness and activated WLAN. The Latitude 12 (52 Wh) is also much better while idling and under load. 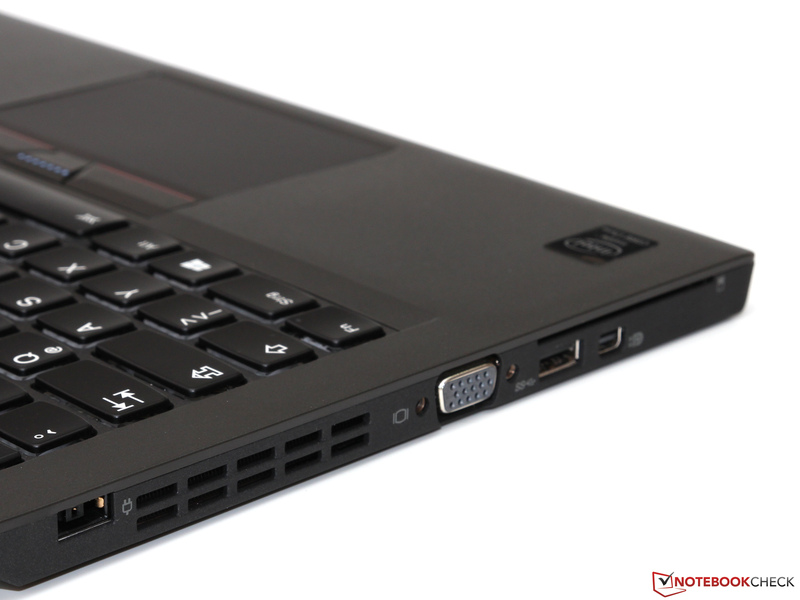 Lenovo once again only introduces small changes for a successful product – the ThinkPad X250 is a careful evolution of the X240 that was launched in the end of 2013, no more and no less. 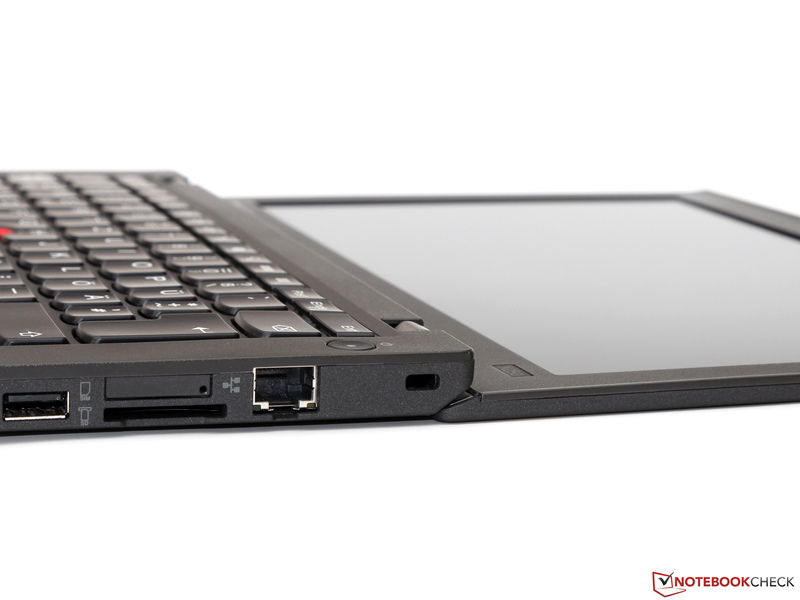 Still, this continuity does not have to be a disadvantage: The solid case, the proven ThinkPad keyboard or the low noise development were already convincing in the past and did not require any changes. This also applies for the recommendable Full HD display with the high resolution that enables good productivity. It is unfortunate that less expensive configurations are usually only offered with the WXGA resolution and sometimes with low-quality TN panels. Another positive aspect is the high performance of the Broadwell processors that do not consume more power thanks to the improved manufacturing process. 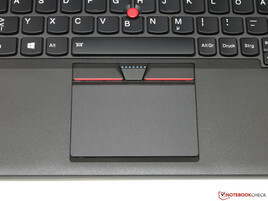 Long-time ThinkPad users will also be happy about the return of the dedicated TrackPoint buttons – even though it would have been better if Lenovo did the same for the touchpad. This is an advantage for the rivals from HP and Dell, just like the lack of a second memory slot or the lower number of USB ports. 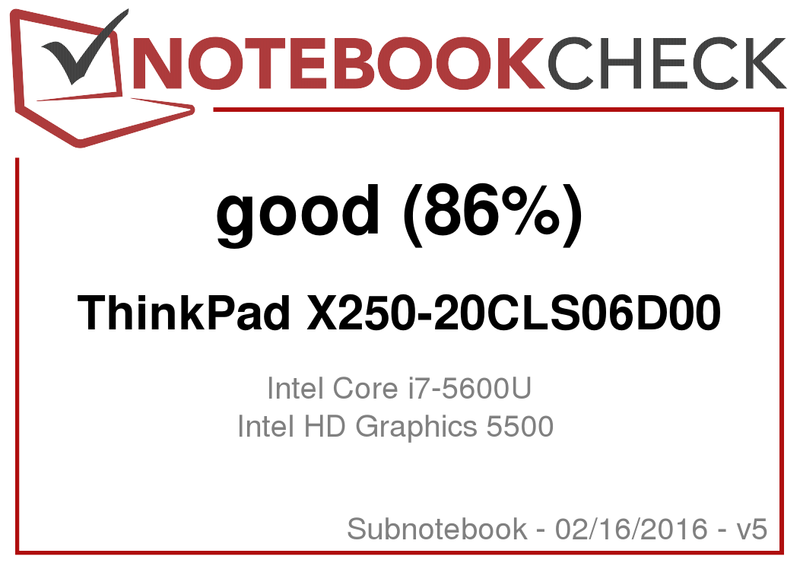 All in all, the ThinkPad just misses a very good rating, but it can still claim the top spot in the subnotebook category thanks to the variety of qualities. 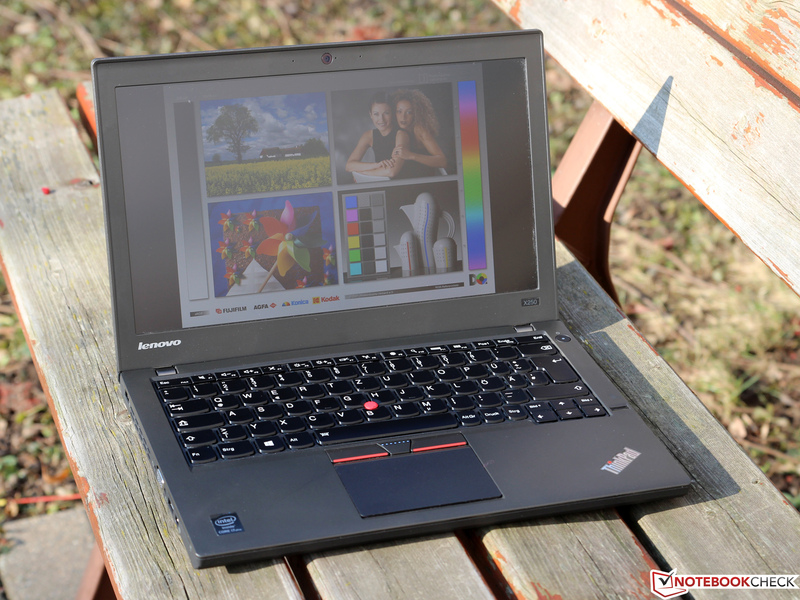 Students or teachers that can participate in Lenovo's education program also get good discounts for the ThinkPad X250 – and the resulting difference compared to similar consumer models might pay off quicker than you think when you consider the durable construction. ...that has been known from the series for years now. 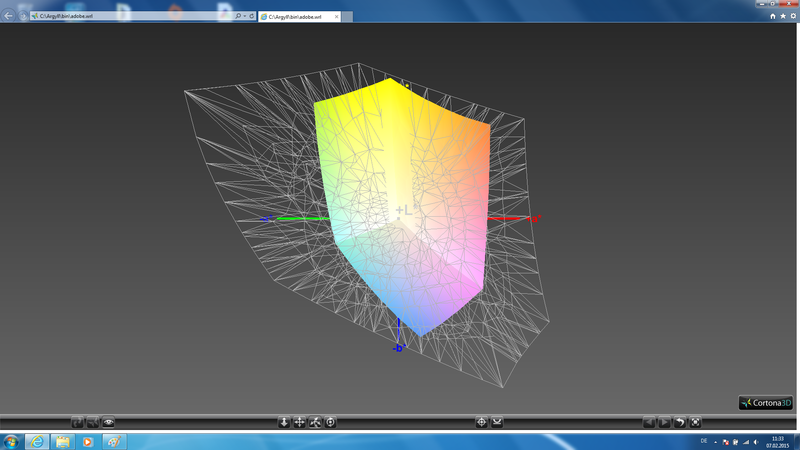 ...but glass fiber and magnesium reinforcement ensure a high stability. ...with a generous maximum opening angle. 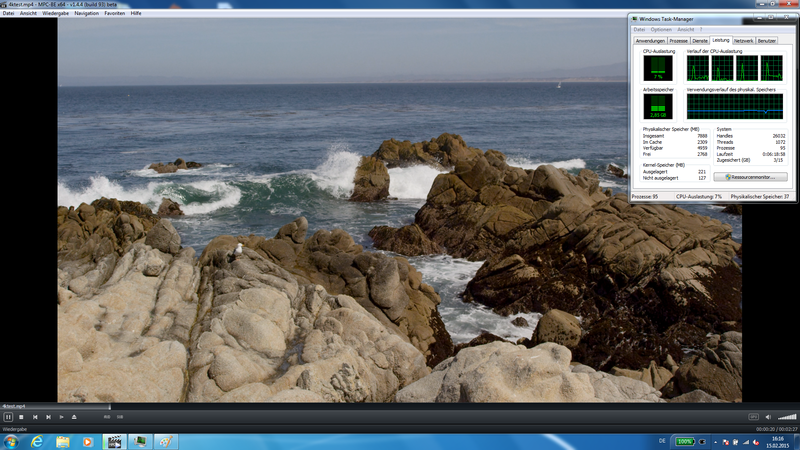 ...but also modern ports like a mini-DisplayPort are available. ...and convinces with a rich and mechanical typing experience. The white LED illumination can be adjusted in two steps. 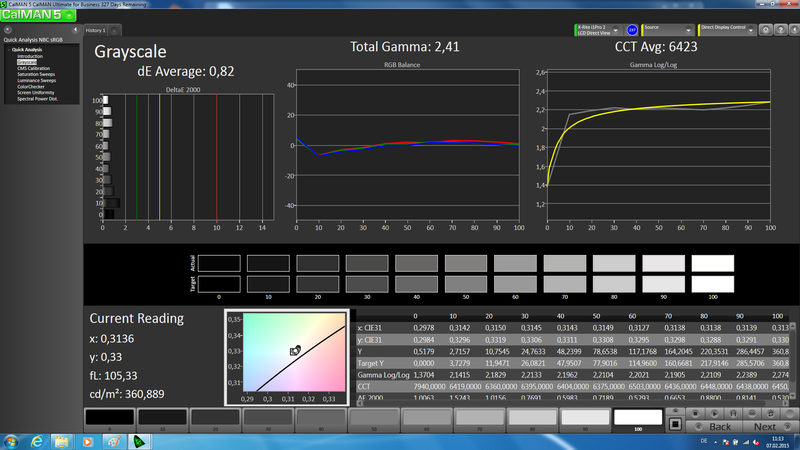 ...and at least the TrackPoint once again gets dedicated buttons. 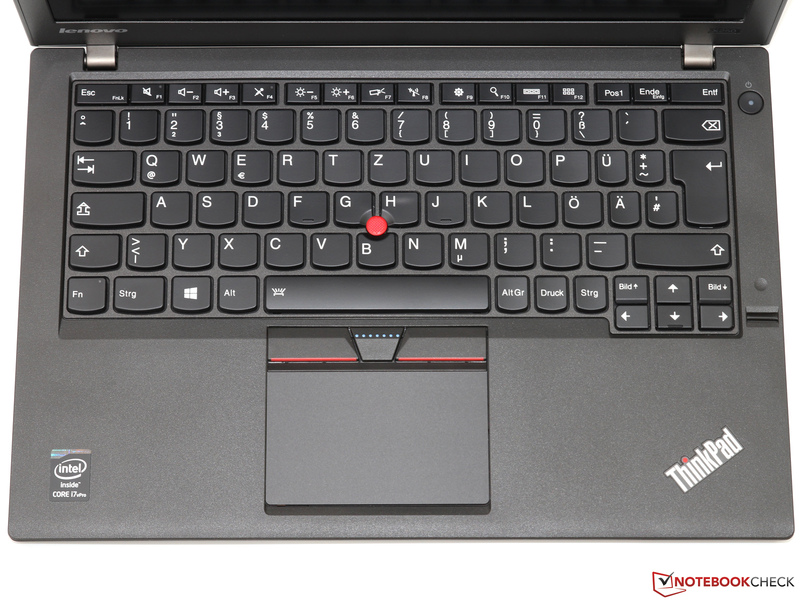 The fingerprint reader supports the business orientation. ...as well as multiple screws. Remove them and you can lift the bottom plate. ...to handle the heat from the CPU quietly. Maximum equipment: More than 8 GB memory is, unfortunately, not possible. ...you can add a WWAN adaptor. The X250 manages around 5 to 6 hours on battery in practice. The speakers lack bass and have a low maximum volume. A 45-watt power adaptor covers the consumption. 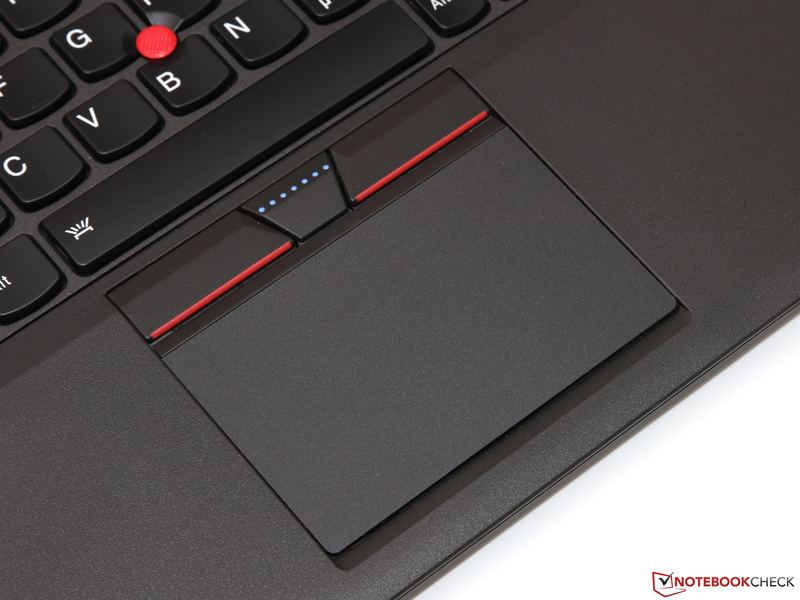 Lenovo finally equipped the TrackPoint with dedicated buttons once again – the unusual 5-button ClickPad is therefore gone after just one generation. It is, however, unfortunate that this change does not include the touchpad, which still has integrated buttons. Due to the lack of the second memory slot you cannot use the maximum performance and it also limits the upgradeability. That the runtimes are slightly shorter compared to the predecessor, despite the similar battery capacity and reduced power consumption.